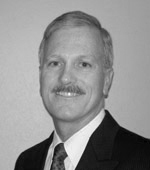 Randall Brooks is the Vice President of Training and Business Development for Aviation Performance Solutions, LLC (APS). His varied flying experience has provided a unique foundation to pursue continuing advances in the unique flight training that APS has developed, as well as expanding the delivery of their advanced pilot training techniques. Mr. Brooks joined APS in 2012 after seven years of involvement in the field of Upset Prevention and Recovery Training, and brings with him over 25 years of flight operations and training experience as a pilot and aviation manager. Prior to joining APS, Mr. Brooks held multiple Director of Flight Operations and Director of Flight Training positions. While Mr. Brooks has provided flight instruction in flight simulators, gliders, aerobatic aircraft, multi-engine jets, and military jet training aircraft, it is the field of UPRT that he finds the most demanding and gratifying. The technical challenges inherent in identifying pilot training solutions to the Loss of Control In-flight (LOC-I) threat is both challenging and rewarding. Providing such training offers the greatest potential for improvement in aviation safety worldwide. Randall currently serves as the President of the Upset Prevention and Recovery Training Association (UPRTA) focusing on instructor and training program standardization. Mr. Brooks was the leader of Training Analysis for the International Committee for Aviation Training in Extended Envelopes (ICATEE), an international working group founded by the Royal Aeronautical Society. Randall has assisted in drafting Advisory Circulars and other guidance material in the area of stall training and loss of control prevention, and has appeared as a subject matter expert for multiple Aviation Rulemaking Committee proceedings on these subjects. As an instructor pilot, Mr. Brooks has over 25 years of experience in the delivery of all-attitude/all-envelope flight instruction. He served as a primary instructor for the FAA Flight Standardization Board’s evaluation of pilot training for a newly certified business jet aircraft, and developed a unique training program combining both simulator and aircraft training for European aviation authorities. Mr. Brooks was instrumental in the creation of a required program of upset recovery instruction for customers of a certificated light jet aircraft. As an airshow demonstration pilot, Mr. Brooks performed over 500 surface level aerobatic displays throughout North America and the Caribbean over a 10-year period. Randall was a member of numerous civilian formation aerobatic teams and flew formation aerobatics professionally for 19 years. Randall’s diverse airshow experience includes demonstration of a single-engine jet aircraft prototype and leading a two ship sailplane team. As the Director of Operations for the Red Baron Squadron, Mr. Brooks was responsible for the formation training and airshow qualification of all pilots for a seven ship fleet of aerobatic aircraft. Mr. Brooks is a Master CFI–Aerobatic, and has over 13,500 hours of flight experience in over 100 different aircraft types. In the field of flight simulation, Randall has worked as a flight test engineer creating and executing a test plan to gather data for flight simulator development, and has evaluated operational and research simulators assessing their upset recovery training potential and capabilities. Mr. Brooks holds a degree in Aerospace Engineering from the University of Colorado.